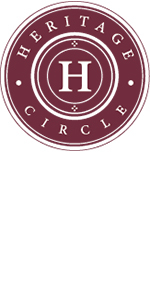 The Heritage Circle was established in 1993 to recognize individuals who have made a provision for UBC in their estate plans. The tradition of legacy giving at UBC is a long and inspiring one; in fact the first gift to UBC was a bequest from Dr. Alexander Monro in 1932. Ever since, legacy gifts and bequests have significantly enriched and strengthened our ability to provide students and faculty with the best possible resources and conditions for learning and research. Members of the Heritage Circle a donor e-newsletter sent in June and December; an invitation to Uniquely UBC events; select donors may receive invitations to special UBC events based on area of interest or giving; Report on Giving, Trek Alumni Magazine, Campaign updates (as appropriate) and access to the UBC Donor Lounge. Explore these giving options if you are considering a planned gift.